While I'm certainly not a history major, I do know what I like, and I like World War II era battle rifles. They contain so much history. The simplicity of the wood stocks, the marks, dings, scratches from heavy use and carry that appeal to me. Shot after shot the accuracy of these weapons with their iron sites, steel barrels on wood stocks impress me. 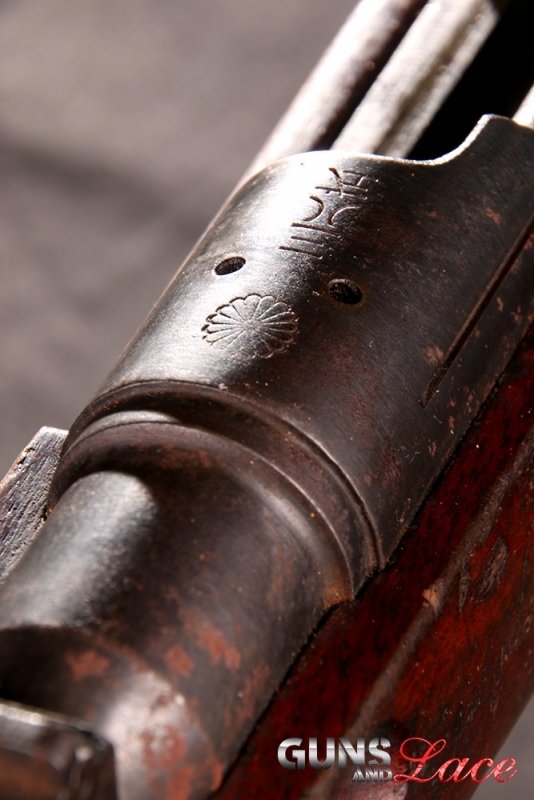 I was really excited to have an opportunity to shoot and review a Japanese Arisaka 99. This Japanese Imperial Army soldiers' rifle was produced from 1939 to 1945 and saw a run of 3.5 million units. It was a dependable, sturdy and well made 7.7mm caliber rifle built to modernize the Japanese army arsenal. Though a bit dinged up from use, our review rifle is an awesome shooter. I found it very similar to shooting my Mosin-Nagant, though the craftsmanship, especially its barrel concentricity is much better than on my Mosin. Steel at a hundred yards was a consistent ring ring ring from a rifle that the current owner assures me had not been shot in decades. 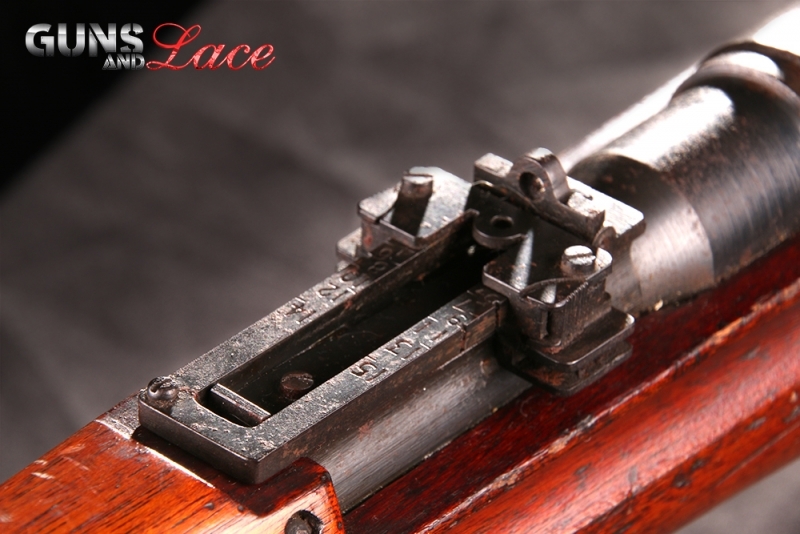 With a simple push/turn safety mounted on the rear of the bolt, iron sights, reliable bolt action and internal five round magazine, this was a weapon designed for the Japanese army and intended to successfully advance the Japanese Empire in size and strength. 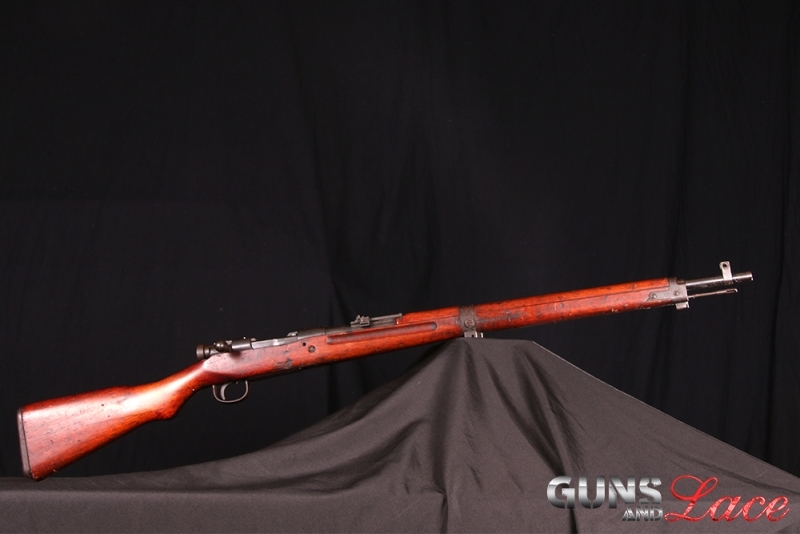 The quality of these rifle was excellent for the day and they enjoyed a reputation for being overbuilt until the Japanese felt the pressure of late war material and production shortages. End of war production produced an inferior rifle with many corners being cut. Favorite Movie: "Fast Times at Ridge Mount High"
When it comes to living an active lifestyle Aurora (pronounced like Aurora Borealis) is the perfect example of a Guns and Lace girl. She is a world class extreme skier, single mom and an outdoors woman who grew up in Colorado. Now living in the State of Washington, she hopes to live on a ranch and raise and grow her own food. She is looking forward to teaching her daughter to ride, rope and shoot and enjoy all the beauty that nature has provided. She struggled when I asked her about movies and TV favorites as Miss Aurora wastes no time in front of the television. "I do not even own one," was her response. "I prefer to be outside if the weather allows it, if not I do crafts, sewing and cooking." When asked about a woman protecting herself from muggers and predators, Aurora had this to say, "There are plenty of snakes out there. You better have some way to protect yourself from them or you're most likely going to get snake bit sooner or later!" The weapon is awesome and the female's beauty is unsurpassed.